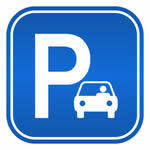 You will need to complete an application form (weather applying for the first time or if you already have a blue badge). You can do this online: www.gov.uk/apply-blue-badge OR you can contact the Ceredigion County Council’s Corporate Customer Services: 01545 900 333. * Please be aware that from 27/03/2017 all Blue Badge enquiries will be handled via Customer Services at Canolfan Rheidol, Aberystwyth rather than Social Services, Min-Aeron, Aberaeron. 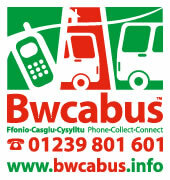 If you live in rural Ceredigion and don’t drive or have regular access to a car or public transport, why not use Bwcabus, a rural local bus service which responds to your demand. The service is available Monday to Saturday 7am to 7pm. Bwcabus operates within a specific zone on the map; please visit our website to check if you are travelling within the operational zone. Transport to doctors’ appointments, social gatherings or into town for shopping can be provided by Bwcabus and the surrounding bus network. What’s more holders of Wales Concessionary Bus Passes can travel on Bwcabus for free. Bus fares apply to other passengers. All Bwcabus vehicles are easily accessible to people with reduced mobility and wheelchair users. Home pickups are available* terms and conditions apply. Ring our friendly bilingual call centre with your details, put your feet up and leave us to plan your journeys! The Ceredigion Community Transport website has been developed by CAVO through the ‘Gyrru Ymlaen’ project as a ‘one stop shop’ for information on Community Transport in Ceredigion. A number of community schemes and groups in Ceredigion provide transport for rurally isolated villages across the county. Who can use Ceredigion Community Transport?